What does it take to become a summer analyst in an investment bank? Here’s the pick of this year’s crop. Deadlines for banks’ summer analyst programmes closed last November. This year’s ‘incoming summer analysts’ have since received offers and are getting ready to manifest themselves at banks in London in six months’ time. Selecting the most impressive incoming summer analysts from this pool is no easy business: they’re all exceptional, they all have achieved outstanding academic results and clocked up multiple internships (although more than usual this year are interning at the same bank for a second summer). Many have studied at top universities, attended top (often fee-paying) schools and participated in unusual extra-curricular activities (eg. organising picnics at the Glyndebourne (opera) Festival). Nonetheless, some stand out more than others. If you’re wondering why you didn’t get chosen, or who’s going to be appearing in the City this summer, this is the standard of the new bankers coming through. We’ve written about Mandres before: he’s the guy who won Goldman Sachs’ UK student challenge last year, and gained £9k in sponsored tuition fees. Mandres, who’s also interned at Man GLG, BAML, ICAP and Romanian-based BRD, is now joining Goldman as an intern this summer. He’s studying economics and statistics at UCL, where he’s expected to get a first. Tan’s also spent summers at KPMG and RBS. He’s studying an MSc in finance and private equity at the London School of Economics. He previously achieved a first class degree in accounting and finance from Warwick. Sehgal’s made our list by virtue of his interesting extracurriculars, excellent academics and competition wins. A Masters student in electrical and electronic engineering at Imperial College London (where he co-founded the investment society), he’s received a £6k scholarship to study a Masters in Finance at the London Business School in 2017 and 2018. He won the Credit Suisse trading game in 2014, and has played cricket, swum and run for his district in India. A physics student at Warwick University, Barrett is on track for a first class degree after achieving three A*s and one A at A Level. We’ve added him to the list because, although he doesn’t have the sort of multiple internships many banking interns now list, he’s solid academically and has built up a strong foundation of work experience and volunteer work without coming from a top private school. Barrett achieved his excellent A Levels after attending Greenhead Sixth Form College in Huddersfield. He’s spent two months volunteering in Brazil, but has also worked as a bookkeeper for a hairdresser and a glass collector for a local bar. This will be the third summer that Meade’s spent at Credit Suisse. 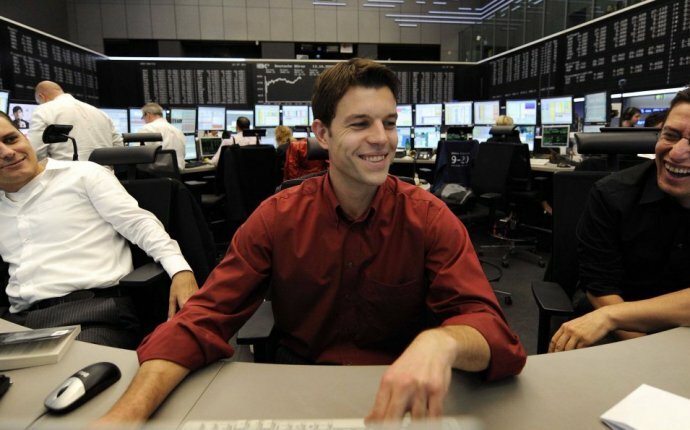 A third year student in statistics with finance at the London School of Economics (he’s predicted a first), Meade spent summer 2015 in Credit Suisse’s leveraged finance and sponsors group and summer 2014 in Credit Suisse’s emerging markets cash equities trading group. Meade’s multiple internships are down to his participation in Credit Suisse’s ‘Steps to Success’ scholarship programme. One of six to be chosen in 2014, he’s was assured three internships as a result and got his tuition fees paid. Thomas will be turning up at J.P. Morgan this summer. Like Meade, Zhou and Tan, he should know where he’s going. Thomas has interned at J.P. Morgan before, albeit not in IBD: last year he spent the summer interning in J.P. Morgan’s equity derivatives team. A student of banking and international finance at Cass Business School, Thomas has embellished his CV with competition wins. He achieved one of the top scores in Bloomberg’s Summer Intern Challenge in 2013, and was a semi-finalist for Target Job’s ‘UK Male undergraduate of the year’ in 2015. He speaks French and Italian fluently and English proficiently. Luce will be interning on a J.P. Morgan bond desk this summer. He should know his way around: he’s already worked as a sales assistant in rates and structured products at HSBC in Paris and a junior trader in HSBC in Mexico. He’s also interned at J.P. Morgan asset management. Luce has studied at Imperial College London and Essec France. He’s also engaged in unspecified studies at Harvard and the London Business School – making his the sort of elite CV that typifies many junior banking applications now. If you’re a young woman who wants to get into banking, it helps to make the most of women’s networks. Carver has done this impeccably. She attended the top 100 women in finance event run by Bright Network last September, the women in private equity event run by Dartmouth Partners, the females in finance event run by Bank of America Merrill Lynch, and the women in capital markets event run by Bank of America Merrill Lynch. A second year chemistry student at London’s Imperial College, Read is joining BNP Paribas a summer intern this summer after attending an insight week last year. He’s currently on track for a first class degree with a grade of 82% (higher than that for any of the other students we’ve seen) and achieved three A*s and one A at A Level. Read got a gold in the first round of the chemistry Olympiad in 2014 and is sales manager for Rota, a start-up aimed at matching catering staff to vacancies.